Fortnite fans only have a few more days to finish Fortnitemares Challenges and earn the new Dark Engine Glider. 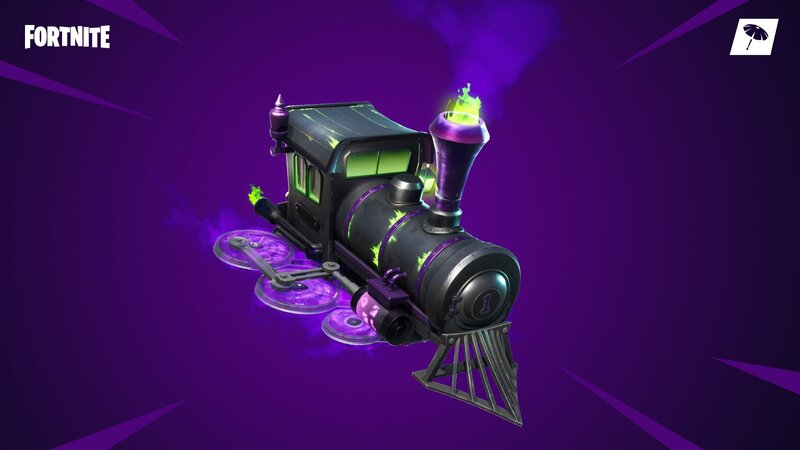 The team at Epic Games has been giving players a number of different Halloween-themed challenges as part of the Fortnitemares event, and they've just revealed a very special reward for players who are able to complete them all in a timely fashion: the ghost train-inspired Dark Engine Glider. Gamers well know the pang of regret (or is it jealousy?) of seeing other players rocking around with exclusive gear they don't yet own, so now is the time to get the game's latest challenges completed. Fortnitemares is slated to end this coming Sunday, meaning Fortnite players have just over 72 hours to get all the challenges wrapped up. Of course, going off the tweet featured above, there's good reason to be in-game when Fortnitemares draws to a close: the Epic Games crew is touting a one-time only event that is slated to begin at 1 pm Eastern/10 am Pacific. We have no idea just what this event might entail, but we know from the game's history that whatever Epic has planned could very well be spectacular, if not game-changing. If there's any concern about being able to complete the fourth part of the Fortnitemares Challenge, fret not — the team has already released a fix, and players should now have no problem earning their just rewards. As it stands now, the Dark Engine Glider is an exclusive item for players who complete the Fortnitemares Challenges by Sunday. Even if that's not possible, fans should absolutely jump in-game at 1 pm Eastern to see what sort of event Epic Games has in store.